Provide comfort for the family of Barnel Michael with a meaningful gesture of sympathy. 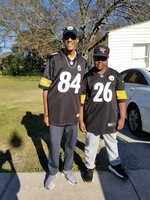 Barnel Keith Michael entered into eternal rest on Sunday, March 17, 2019 at the age of 54. He was a resident of Lutcher, LA. He was born on January 14, 1965. 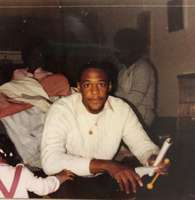 Barnel was the son of the late James Michael and Hazel and Johnny Bowser; father of Tenedra Jackson-Manuel, Cowan Collins, and Jayden Michael; two “bonus children” JaNeese Thomas and Tyler J. Horten; brother of Kenneth (Renee) Michael, Veronica Davis, Doris (Stanley) Taylor, Catherine Michael Poche, and Katrina Michael Clayton. Barnel was a graduate of Lutcher High School, Class of 1983 and Southeast College of Technology, Class of 2000. He was preceded in death by his parents, James Michael, Hazel and Johnny Bowser and nieces LaToya Michael and Tellay’Jah Bethancourt. To send flowers in memory of Barnel Keith Michael, please visit our Heartfelt Sympathies Store. We encourage you to share your most beloved memories of Barnel here, so that the family and other loved ones can always see it. You can upload cherished photographs, or share your favorite stories, and can even comment on those shared by others.